This year’s SAG Awards went to the films you’d expect to win, but the TV side of things held a few pleasant surprises. 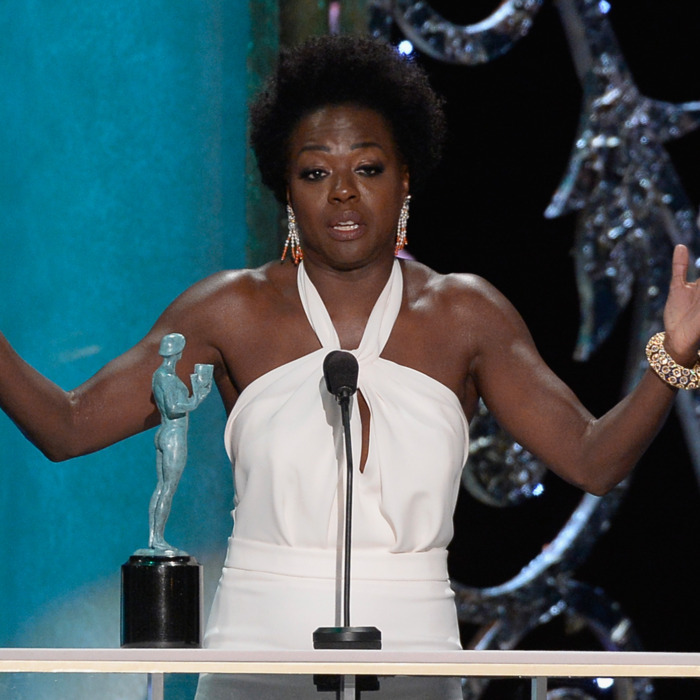 Orange Is the New Black’s Uzo Aduba won for Best Actress in a Comedy Series, and How to Get Away With Murder’s Viola Davis grabbed the trophy for Best Actress in a Drama. That’s the first time in SAG Awards history that both statues for TV’s top female performers went to women of color, and diversity in Hollywood was on Davis’s mind during her acceptance speech. She thanked her HTGAWM collaborators for “thinking that a sexualized, messy, mysterious woman could be a 49-year-old, dark-skinned African-American woman who looks like me.” On the film front, Eddie Redmayne and Julianne Moore added more lead-actor kudos to their hardware collections, while J.K. Simmons and Patricia Arquette did the same in the supporting ranks. Check out the full list of winners below.